Season 4 is starting tonight and Chico and I don’t get HBO here in Canada. So we’re patiently waiting to be able to watch it by some other (TOTALLY LEGAL) means. Please, please, pretty pleeeeeeeease, say nothing! I feel it necessary to inform you that the madness has only intensified. A colleague offered to put all of seasons 1 and 2 on my external hard drive. Chico went away on a long business trip, but when he got back we delved back into the world of Game of Thrones and polished off season 2 in short order. Now we’re catching up on season 3, though we’re experiencing less of a sense of urgency this time. We’re just as hooked as ever, but I suppose we have managed to discipline ourselves enough not to rush our viewings. Pretty soon we’ll have caught up and we’ll have to wait a whole week for a new episode, JUST LIKE EVERYONE ELSE. In other news, this morning I dreamed about Game of Thrones again. This time it also involved the blonde chick and dragons, but I was the blonde chick and I was threatening everyone with my dragons. Sounds like something I would do. I can’t do anything. I cannot blog, I cannot read, I cannot SLEEP. 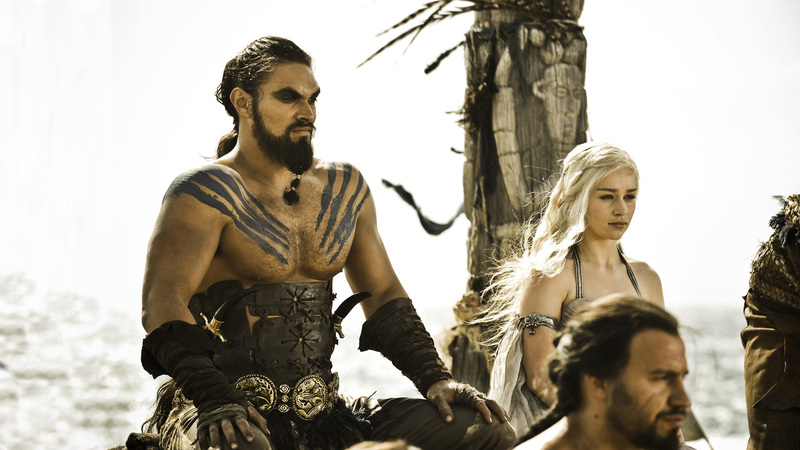 I must watch “Game of Thrones”. I have been sucked into the vortex of addiction to this TV series. Chico and I had never seen it. Then, in anticipation of the new season, ShowCase started showing it from the beginning of season one. We didn’t get ShowCase, and in a move that sealed my fate, I went online and switched it for some useless channel we never watched. It was showing at 10:00pm on Fridays (way past my bedtime) so I set it to record. Yes, I already know. DON’T YOU SAY A WORD!!! I invited Chico to watch with me, and pretty soon we were hooked. For a few weeks, we watched the episodes as they aired, enjoying it but not feeling sucked in. That question was what led to our downfall, and I blame my Chico entirely. He started fiddling around on the iPad and located the next episode. It was already late, and I said, “We can start watching it but I need to go to sleep” (I really do need my beauty rest). Bah! Fat chance! We watched the whole episode, of course! By the time we finished it was past midnight and I don’t know about you folks but I REQUIRE a good solid 8 hours of sleep. That there is some serious eye makeup. Since then, we have watched one episode per evening (it’s been three days), but that’s only because the links take forever to load on the iPad. 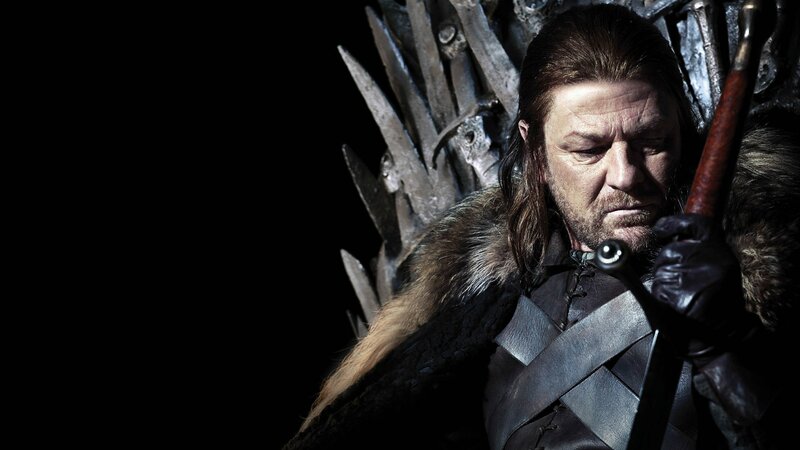 The other night, I HAD A DREAM ABOUT GAME OF THRONES. It featured men in eyeliner riding horses and blondes and swords and dragons and perhaps more but I can’t be sure. It was like the story continued in my sleep and I woke up muddled between what had actually happened in the series and what had happened in my dream. The madness will only stop when I have seen all of seasons one and two, and somehow caught up on season three (we don’t get HBO… Yet…). In the meantime: IF YOU SPOIL ANYTHING, I WILL CURSE YOU TO AN ETERNITY OF DIAL-UP INTERNET CONNECTION. Excuse me, does this carburetor come in pink? Oh. Em. Gee, girls. Isn’t it frustrating when you want to hang a picture but all you have is an ugly manly-colored hammer? Or when you want to write yourself a shopping list (because that’s all we write, right?) and there’s no lady-sized pen for our delicate little digits? Or how about when you’re in the market for a tablet computer, but the only options are ugly, complicated, man-centered devices which actually require you to download apps. Damn! I *hate* that! I’m so mad I could eat all the Lindt chocolates AND get a manicure right now! Okay, no I’m just kidding. I’m so mad I could do yoga. Yeah. That’s how mad I am. But seriously, of course, I am not mad. I am simply baffled. 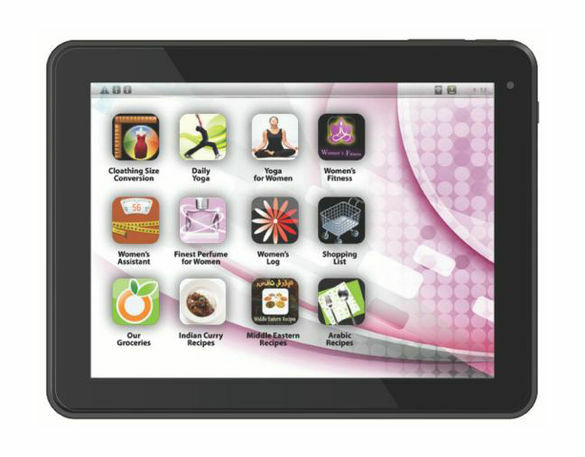 The latest in the ri-DONK-ulous trend of products-for-women is the ePad Femme (I kid you not), a tablet computer that comes with a pink background and pre-loaded apps, which doesn’t allow you to download any other apps. No, this is not a sanitary protection product. The pre-loaded apps are, predictably, all about yoga, exercise, weight-loss, cooking, perfume and writing shopping lists. The ladies over at Jezebel have pretty much perfectly expressed my sense of outrage and wonderment, so I do not feel the need to do so here. But what I do feel the need to do here is wonder why on EARTH marketers and companies keep coming up with these TERRIBLE ideas. 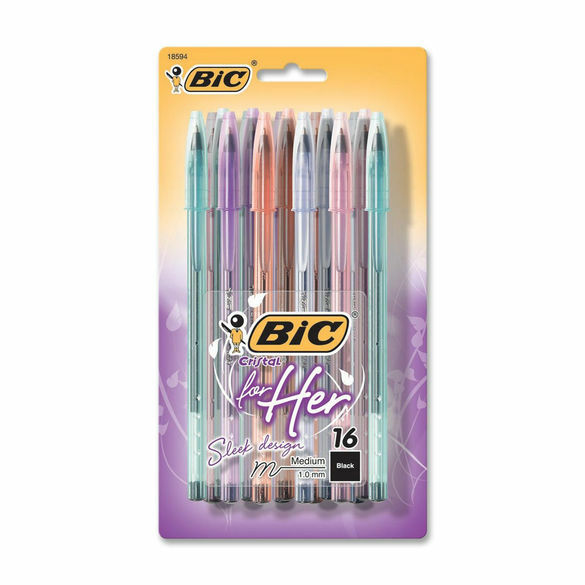 Does anyone remember the “Lady Bic” fiasco with pens “just for her” that sparked a series of absolutely hilarious reviews on Amazon.com? Or how about Dell’s foray into a website geared just to women called “Della” (because shopping for laptops is SO confusing!). Other notables include Honda coming out with a car for the ladies, and of course innumerable pink, flowery tools made just for our delicate little hands. Jessica Grose over at Co.Create asked a couple of branding and design executives why companies keep bringing out these products. Sometimes it can be an attempt to break into the female market. Brands like Skinnygirl Cocktails have successfully marketed a “gender-neutral” product (liquor) to ladies and made millions. So it can be done, apparently, and it can make hella lotsa money. Bic did not get this one right. The key is to do it cleverly and inoffensively (like Lady Bic razors for women–because shaving legs is VERY different from shaving chins). The recent PR disasters of the examples I gave above show that some companies just don’t get it (though you’d think after marketing ladies’ razors so well, Bic would have clued in). But that doesn’t mean they’re going to stop trying. Ladies, I’m fairly certain we can be sure of seeing more ridiculous examples of just-for-women products in future. The only thing we can do as innocent consumers (!) is to be aware that we are being marketed to. We can be informed and critical consumers, by taking the time to evaluate different options on the market and make informed decisions. It’s cool if we want to buy products that simply look pretty. It’s also cool if we want to take the time to research our options for laptops, tablets, televisions, cars, and other larger purchases. It’s important to understand when we’re being targeted by marketers and why. The brands that market most successfully do it subtly. The reason the ridiculously sexist products above have failed (and will) is because they’re not subtle. So I encourage all consumers, ladies and gentlemen alike, to be clever. Be observant, be discerning, and be informed. It might not change your buying habits, but at least you’ll know why you choose the products you do.